Mission:To meet the demands of our customers through reliable services. 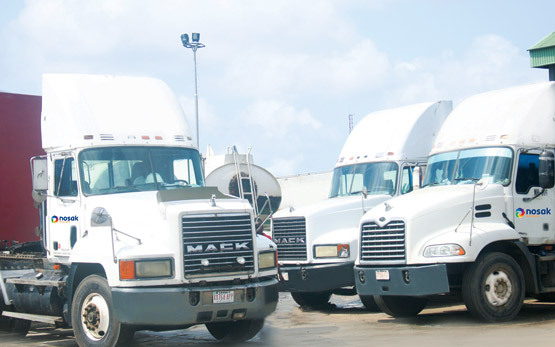 Vision:To be a market leader in the Nigerian haulage industry. Address:Plot C36B, Nosak Road, Amuwo Odofin Industrial Area, Lagos. Nosak Haulage is a provider of logistics, haulage and distribution services to various subsidiaries of the group, and bulk haulage to other corporate organizations within the private and public sectors of the economy. 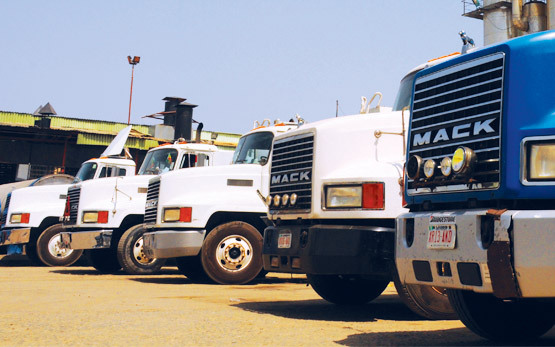 Formerly known as Goods Delivery Services (GDS), the company has metamorphosed from a one truck company, into its present status where it has fleet size of 55 Mack branded trucks, currently based in Lagos, at the Amuwo Odofin Industrial Estate with satellite operation across various locations in Nigeria. These compromise enclosed bodies and sided trailer trucks of 5, 10, 20 and 30 ton capacity. We also have a major operational arm at the Export Free Trade Processing Zone (EPZ) in Calabar. We operate a highly efficient maintenance schedule for our trucks with a standby recovery truck to aid/facilitate service delivery. This also includes an ultra modern truck/vehicle workshop staffed with dedicated and well-trained technical staff designed to cater for the various needs of the present fleet. Some of our clients include Nigerian National Petroleum Corporation (NNPC), Nigerian Breweries Plc, Honeywell Oil and Gas Limited, Eterna Oil and Gas Plc, Emzor Pharmaceuticals, Guinness Nigeria Plc, PZ Industries Plc, May and Baker, CHI Nigeria Limited and many more.